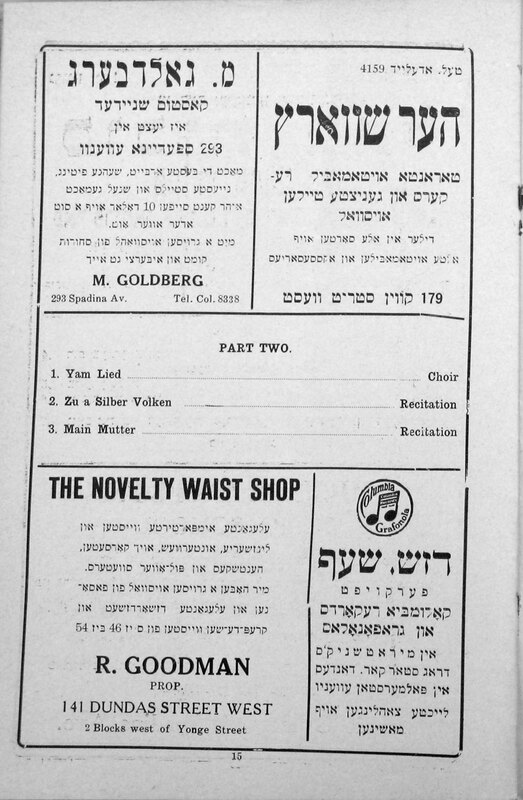 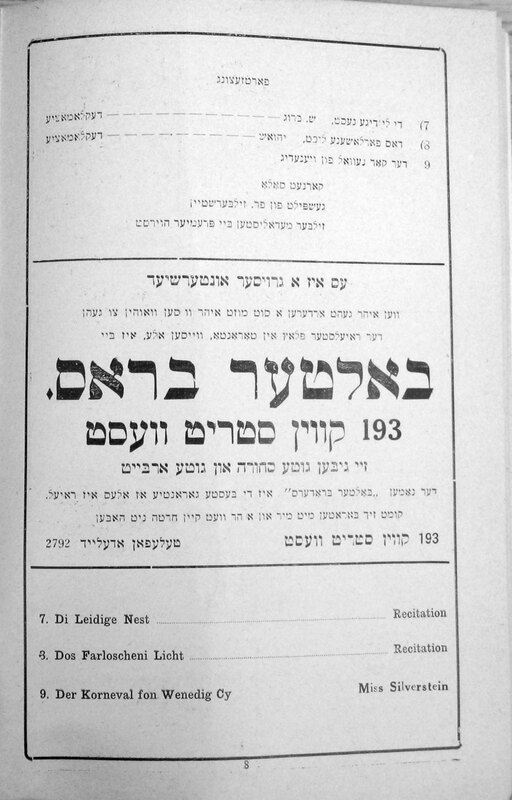 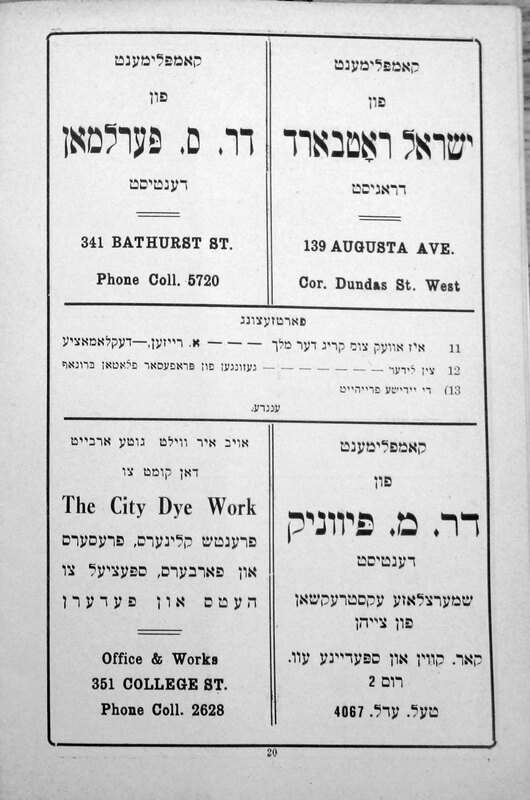 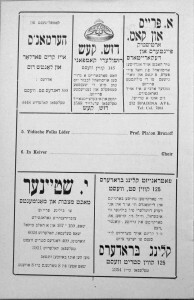 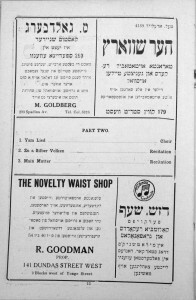 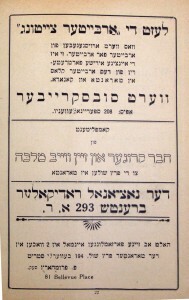 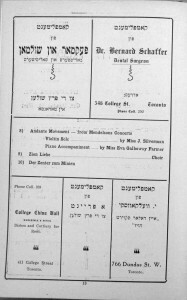 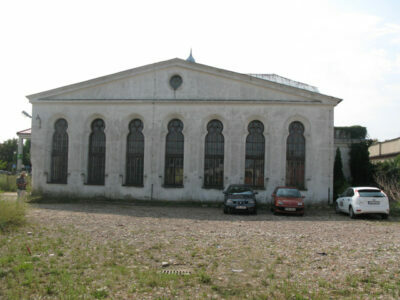 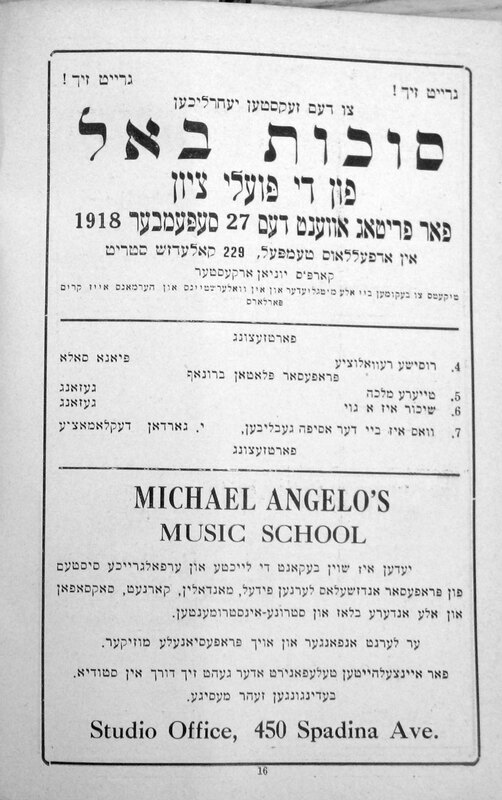 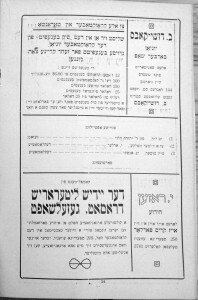 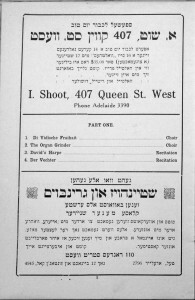 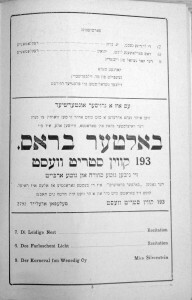 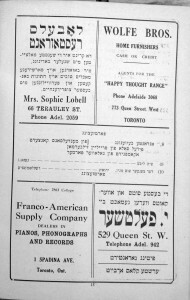 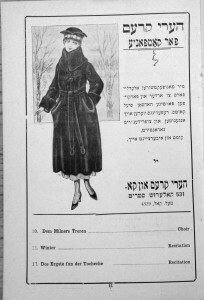 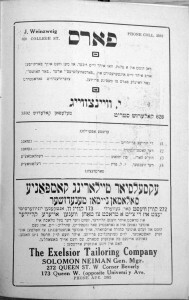 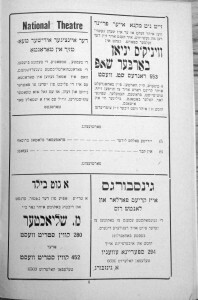 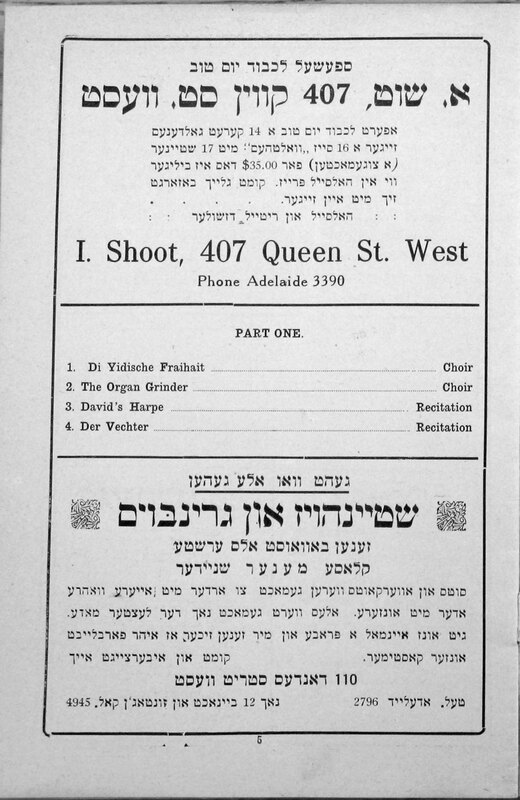 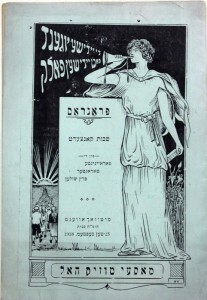 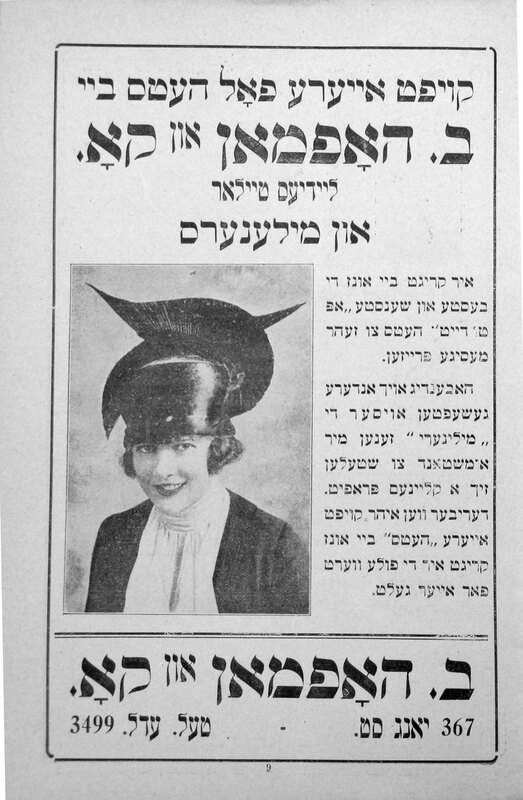 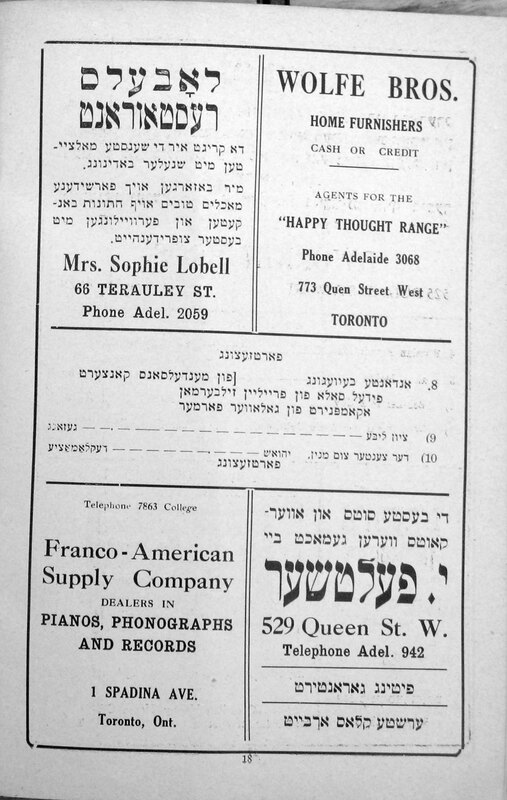 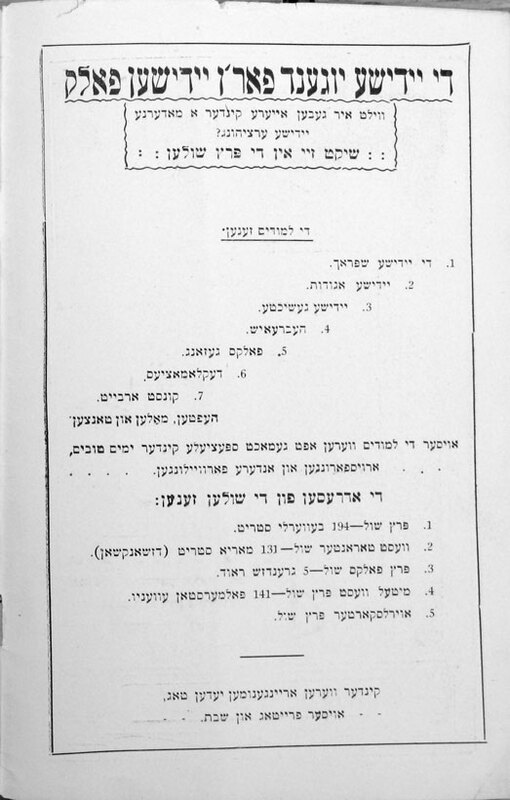 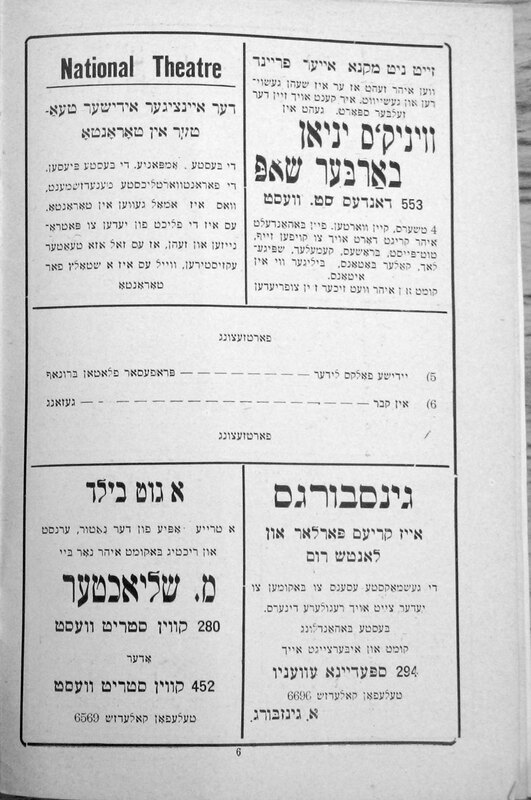 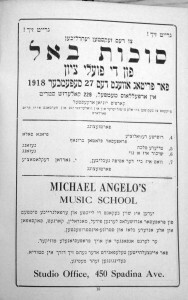 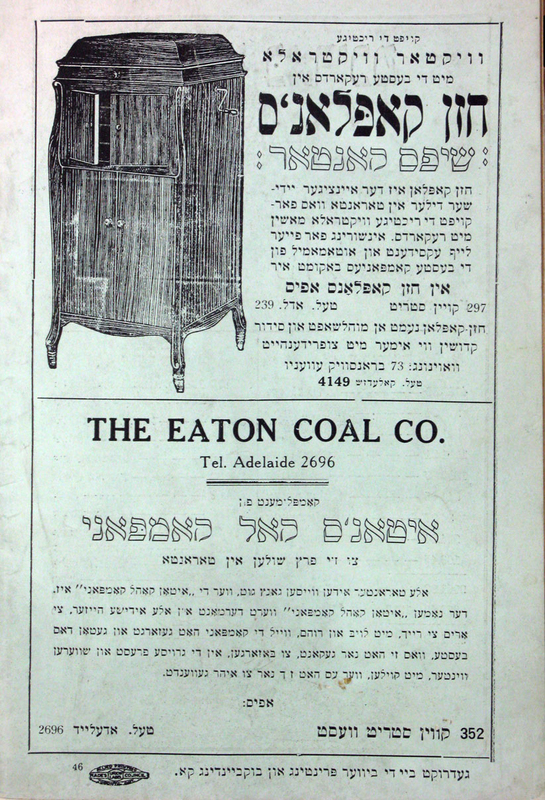 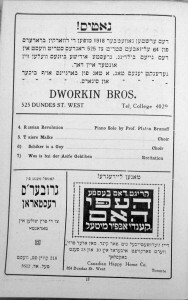 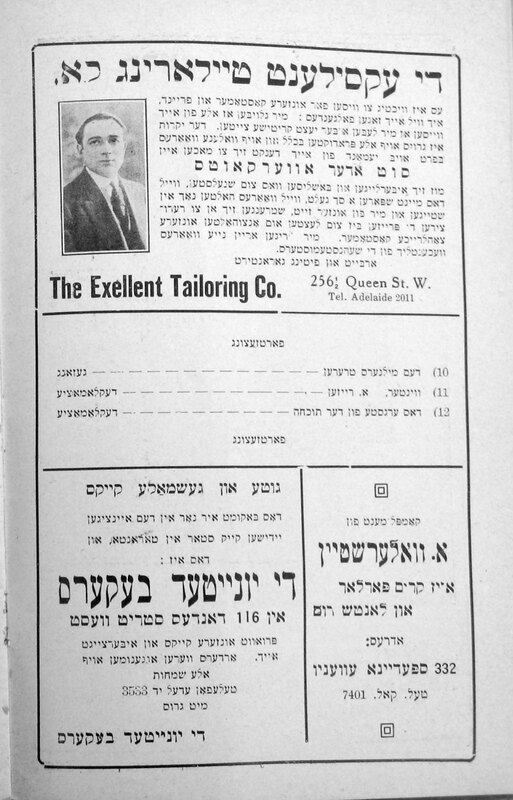 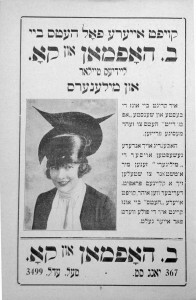 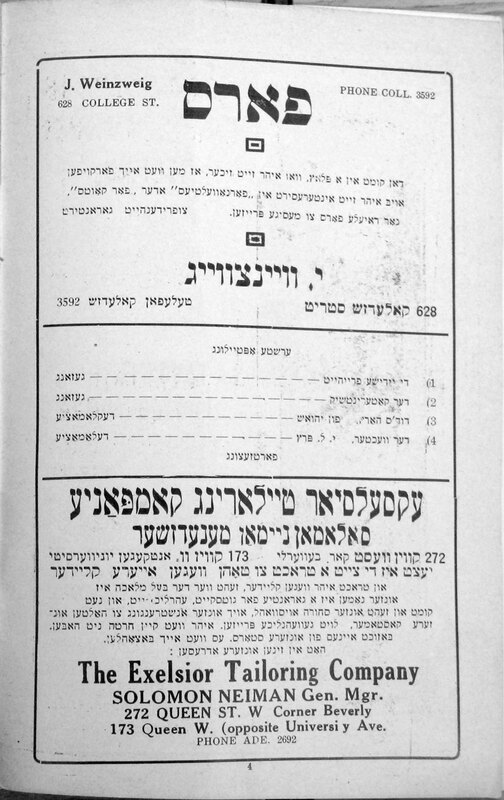 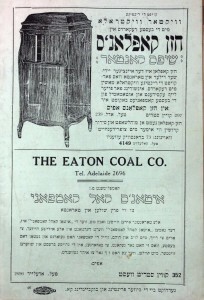 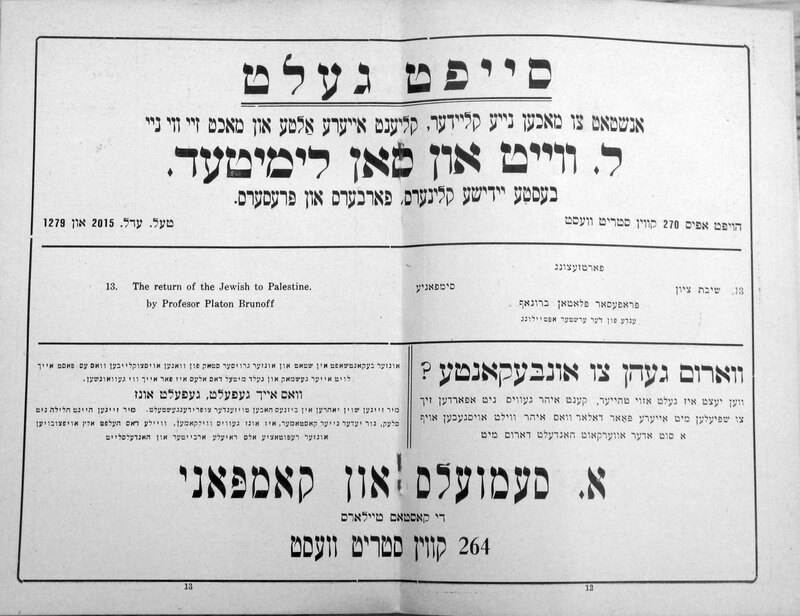 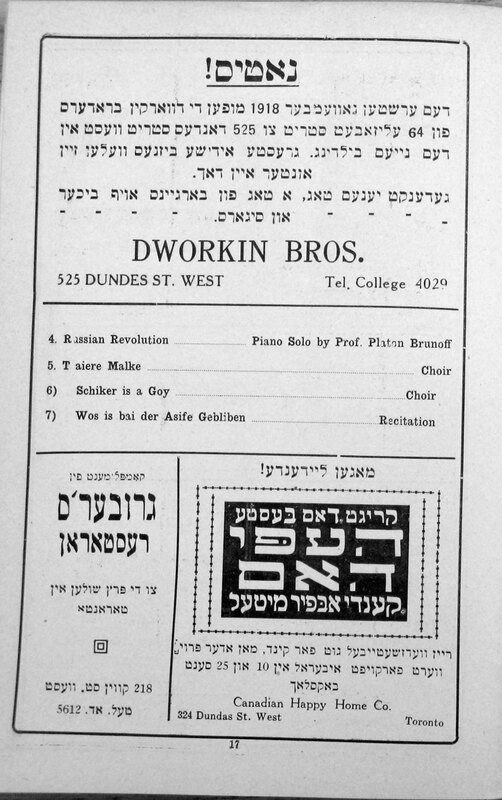 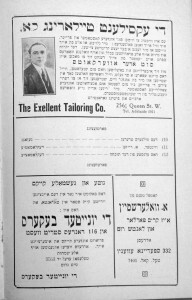 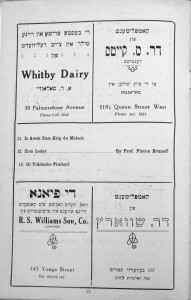 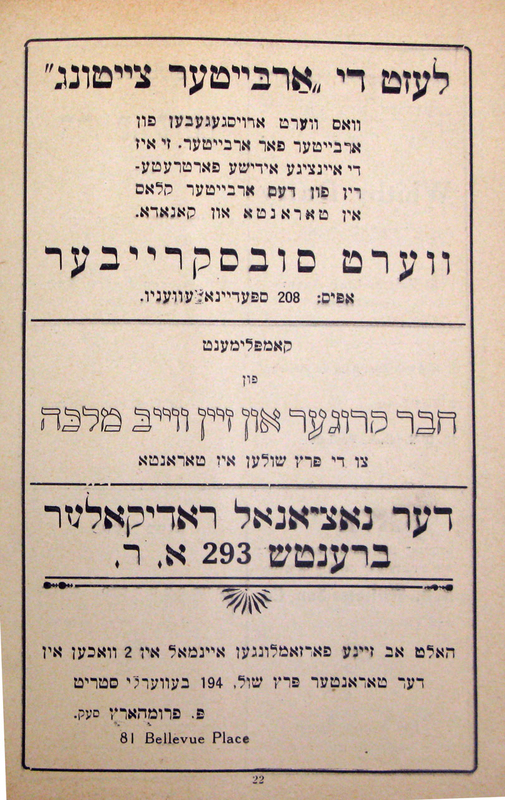 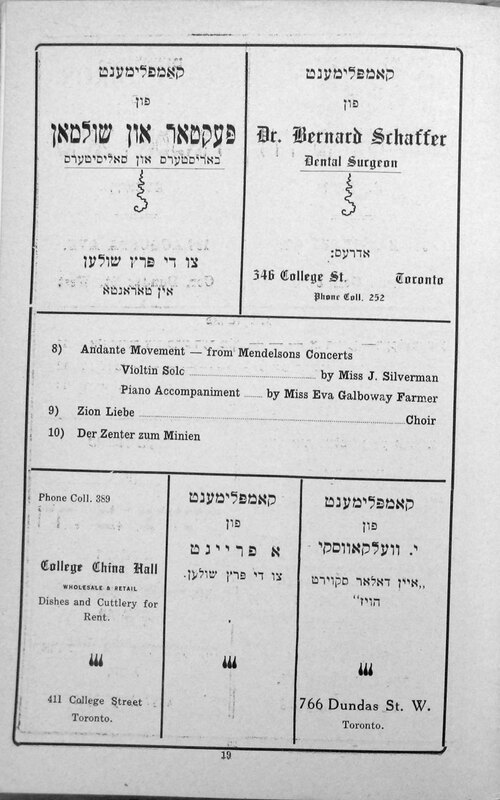 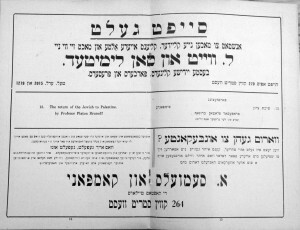 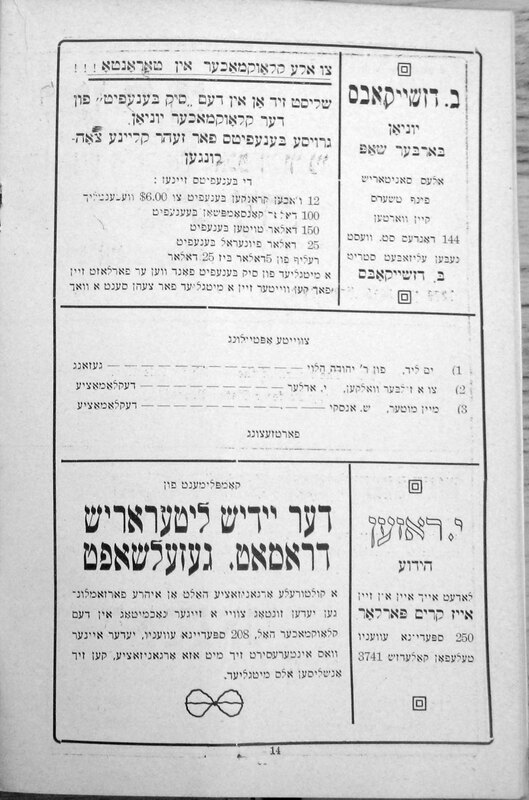 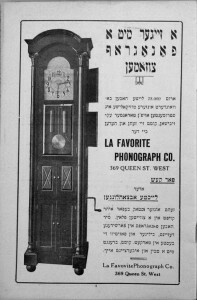 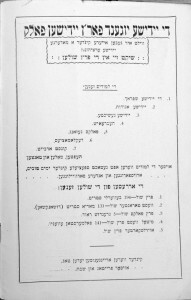 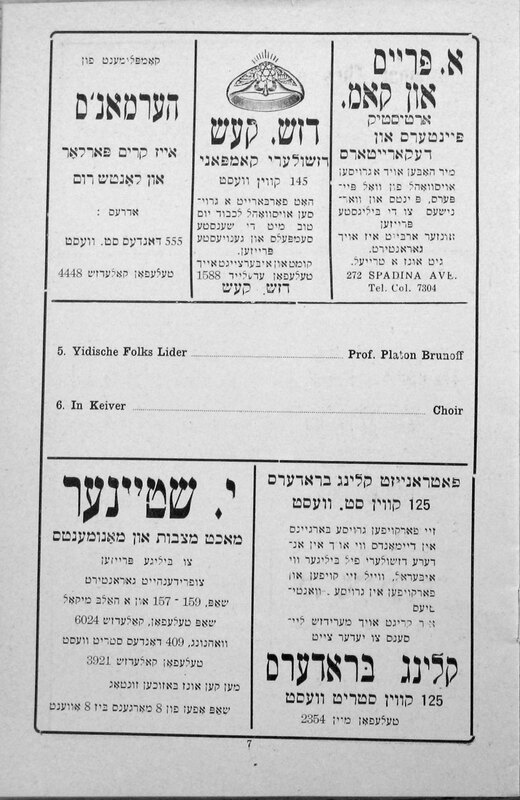 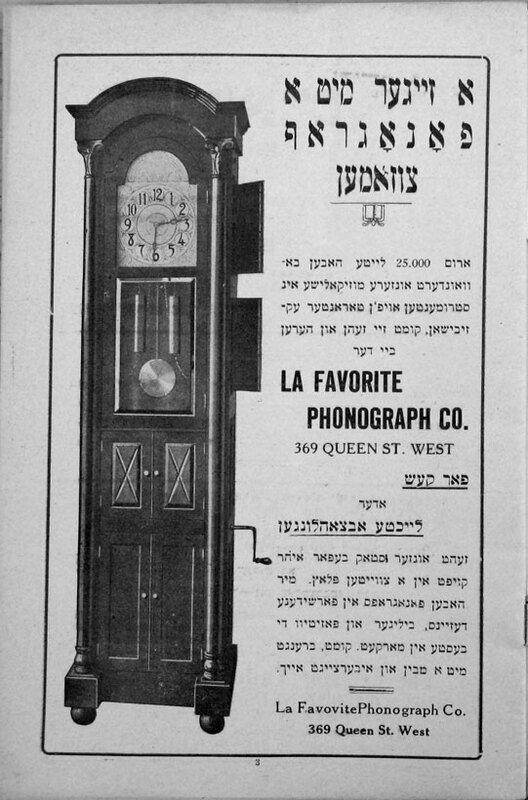 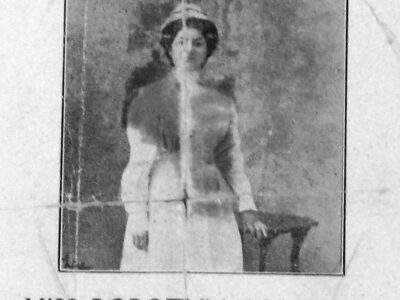 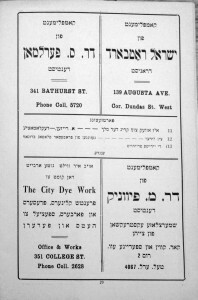 The Yiddish Yugend Farein or Yiddish Young People’s Organization of Toronto sponsored a Sukkot Concert at Massey Hall on September 25, 1918. 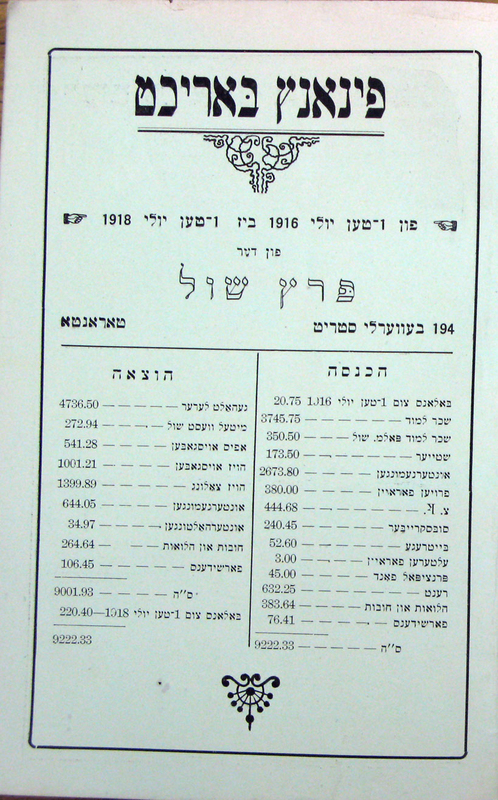 Below is the 24-page program, along with a list of names of people and companies mentioned. 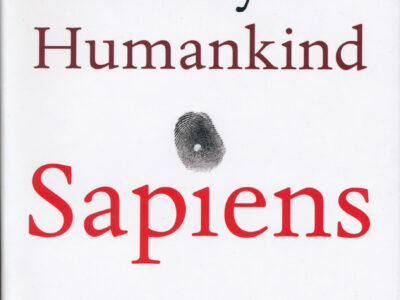 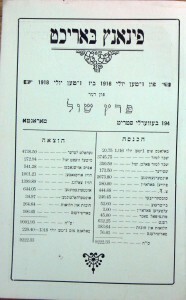 Note that the booklet’s printed pagination was incorrect and that the order of the pages is correct as is. 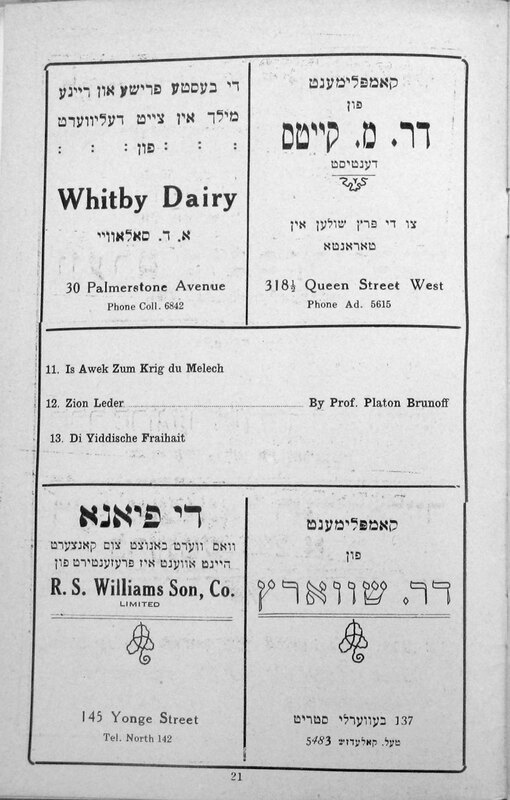 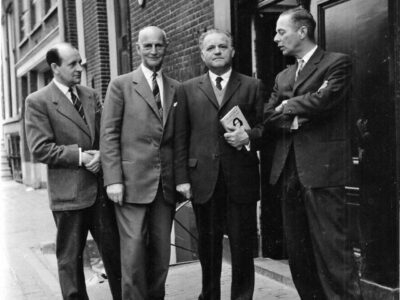 9 – Balter Brother, 193 Queen St. W.
11 – The United Bakers, 116 Dundas St. W.
12-13 – L Witt and Son Ltd. Cleaners, A Samuels and Company, 264 Queen St W.
16 – Dworkin Brothers 525 Dundas St. W.; Gruber’s Restaurant, 281 Queen St. W.; Happy Home, 324 Dundas W.
17 – Sukkot Ball, Poalei Zion; Michael Angelo’s Music School 450 Spadina Ave.
19 – Wolfe Brothers, 773 Queen; Label’s Restaurant, Mrs. Sophie Lobell, 66 Terauley St.; Franco American Supply Company, 1 Spadina Ave.; Y. Feltshur, 529 Queen St. W.
20 – Whitby Dairy, 30 Palmerston Ave; Dr. M. Kates, dentist, 318 Queen St.; The Piano, R. S. Williams Co, 145 Yonge St; Dr. Schwartz, 137 Beverley St.
24 – Chazan Kaplan’s, Holy books, kiddushin, 297 Queen St.; Eaton Coal Co., 352 Queen St. W.